A: The mustard is not manufactured in a shared facility or on a shared line with any other products/ allergens. Q: Is the bottle BPA Free? A: The bottle is PET plastic. Food and beverage containers made from the polyester plastic known as PET do not contain Bisphenol-A (BPA). 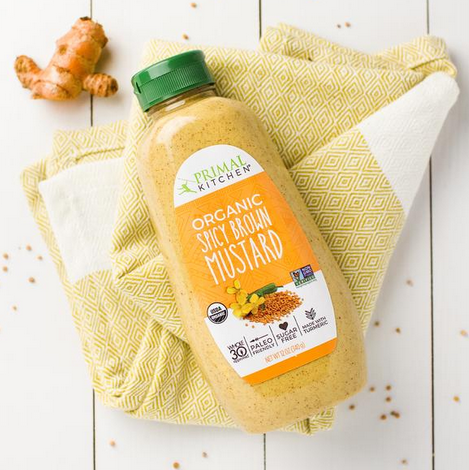 Q: What is the shelf life of Primal Kitchen Organic Spicy Brown Mustard? A: 12 months unopened. Once opened, keep refrigerated and use within about 6-8 months.